It happened in 1947 when Buddhist monk Sirimalwatte Piyaratana Thera with some other monks walked through remote jungle in the northern part of Sri Lanka. They noticed a bright ray of light rising from the jungle towards the sky. As they reached this light, they discovered an ancient stupa covered with jungle. Thus the legendary and mysterious Somawathie Stupa was rediscovered two millennia after its construction. 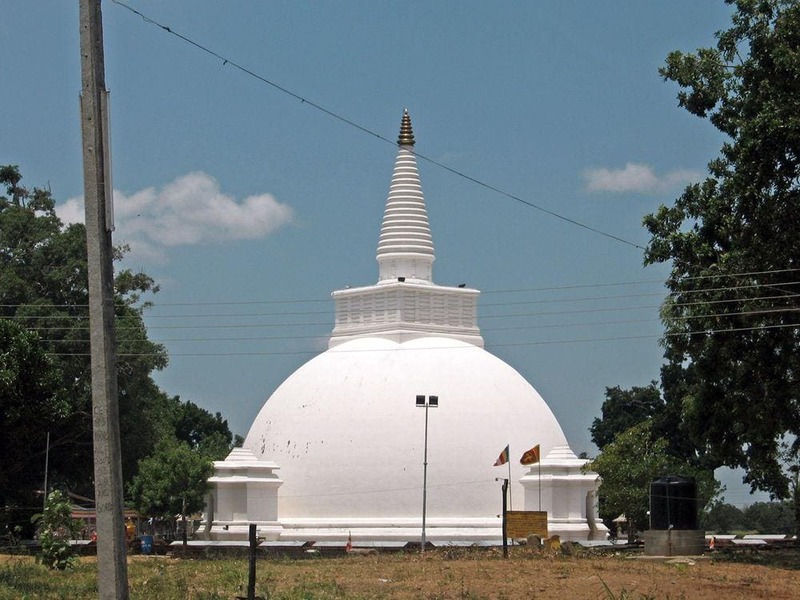 It happened before any of the major stupas were built in Sri Lanka – in the 2nd century BC, when the first Arahant (the Enlightened) of Sri Lanka – Aritta Thera returned from his voyage to the abode of Gods. He brought home a valuable relic – the Sacred Right Tooth of Buddha. This relic was handed over to prince Giriabha and his consort Queen Somawathie (Soma) – sister of King Kavantissa (father of the great king Dutugamunu). With this present Somawathie got a desire to build large stupa to venerate Buddha and her wish was supported by Giriabha and Kavantissa. They searched for the best place to build this stupa and stopped at a place named Somapura, where monks led by Arahant Mahinda resided. This place at the Mahaveli River was suitable and upon the silent agreement of Mahinda works were started. The new temple became very popular, thousands of piligrims came here and more and more monks venerated Buddha here. In the jungle around the shrine appeared hundreds of smaller temples for meditation. In these times Sri Lanka was divided among three kingdoms – Anuradhapura, Kelaniya and Ruhunu, the last one governed by Kavantissa. Sri Lanka was highly developed country and especially impressive were the irrigation systems. 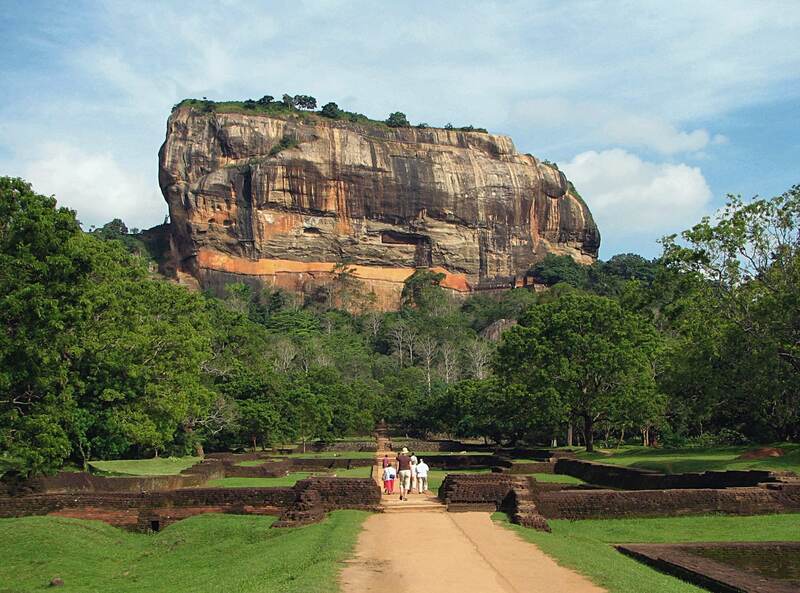 As centuries passed, the centre of Sri Lankan civilization moved to the south-west and jungle returned to the north-east. Former man-made landscape with impressive irrigation systems deteriorated and Mahaveli River changed its course. 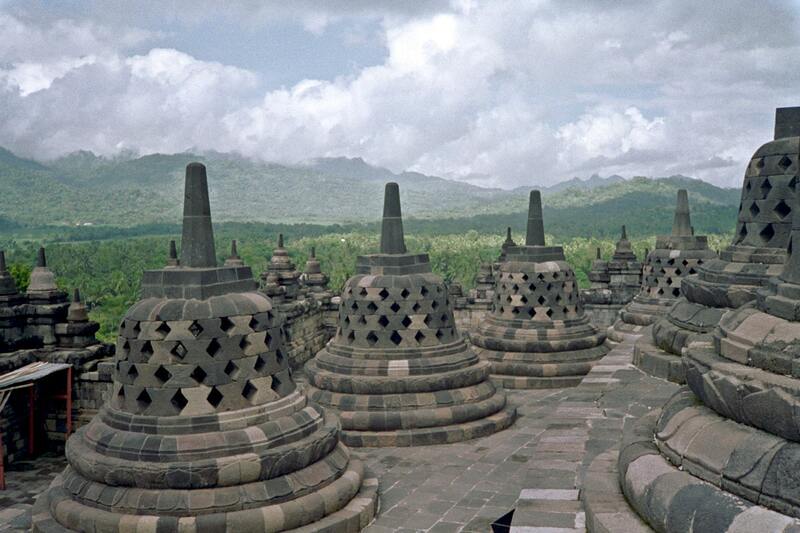 As a result stupa was not that easily accessible. Since the end of Anuradhapura Kingdom (the 9th century AD) this great shrine of the past was almost forgotten. When Europeans came, the area around Somawathie Stupa was sparsely populated and here were developed plantations. Somawathie Stupa rised from the realm of legends in 1947. Ancient stupa was in ruins and there was started reconstruction. Works proceeded slowly and then were completely stopped by the terrible civil war in 1987. Terrorists killed many people in this area and tried to desecrate the shrine. But in this time period miracles started to happen here more and more often. Thus, when monks abandoned the shrine, a group of elephants (in floodplains of Mahaveli live numerous elephants) started to guard it. Every evening these animals left the forest and stood around the temple. Once a monk came and warned police that group of people is digging treasure at stupa. As policeman reached the spot, they found that somebody had digged indeed. Meanwhile monk somehow managed to disappear and policeman realised that in this locality monks have not been seen for years. As the civil war ended, reconstruction was completed. Now a new shell of stupa encloses the ancient one, the old stupa is not visible. For a while people thought that terrorists have stolen the gem which adorned the summit of stupa. It was found under a tree near stupa and placed back on the pinnacle in 2002. Since then numerous people have observed rays of light emanating from this gem. 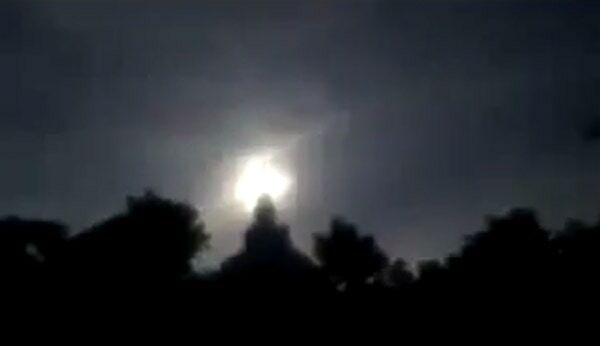 These light effects above Somawathie Stupa are faked / Screenshot from Youtube movie somawathi budu ras malawa, most likely filmed in 2013. Few places in the world are that rich with legends and testimonies about miraculous events as Somawathie Stupa. Diversity of mysterious events here is striking. Thus, many have seen small white elephant running inside the temple… and disappearing. An adult, real elephant loves to come at stupa and is seen when here are less people. Some have seen mysterious processions coming out from… closed temple. But most frequent are cases when unusual light phenomena are observed here. Rays of light, different floating and flashing lights, halos and rainbows are observed by thousands of visitors. Somawathie Stupa is not the only shrine in Sri Lanka with such mysterious properties. Similar miracles have been observed also at Ruwanwelisaya Stupa and other sites but at Somawathie Stupa the frequency of unusual events is much higher than elsewhere. Miracles (and peace after the long war) bring more and more people to this area. Drive to the remote temple takes considerable time and the site is not suitable for mass tourism. Some months per year though the visit is much harder to make. Floods rise the river level and stupa is partly inundated and reachable only by boat. Walter Rupesinghe, Somawathie Chetyia. 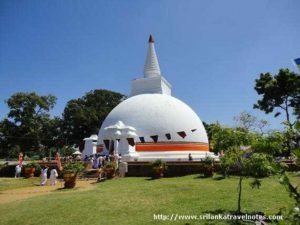 Srilankaheritages.com. Janani Amaresekera, Miracles of Somawathie dagoba attract pilgrims. Sunday Observer, 22nd May 2011. Article includes images of miraculous lights. Sri Lanka may seem comparatively small physically and culturally if compared to the giant of South Asia – India. But this island has huge importance in the history of culture in South Asia, here are found wondrous man made and natural landmarks, such as some of the world’s tallest ancient buildings, unique rainforests, grand cities of the past and others. We will journey into the parts of the unexplained that still make the most experienced paranormal investigator only stare in amazement. This collection of stories tells about the lives of the Buddha before his enlightenment. They were originally told in Singhalese and often even sung to the populace in Pali, the sacred language of the Buddhists.